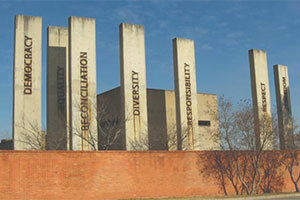 Tour features: Apartheid Museum, Mandela House in Soweto, Hector Pieterson Museum. 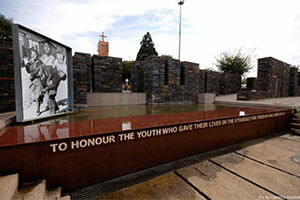 Many South Africans gave a huge amount, some gave all, to achieve a truly democratic South Africa. Come with us on this full day tour which shares some of the journey, pain and struggle of those heroes; witness the places, experience the diverse museums where these momentous, tumultuous years have been so well documented. Our day begins at the Kliptown Open Air Museum where delegates met in 1955 to adopt the Freedom Charter, now the cornerstone of the Bill of Rights and the South African Constitution. Our journey continues to Regina Mundi Church, site of many secret underground meetings of the then banned political parties. 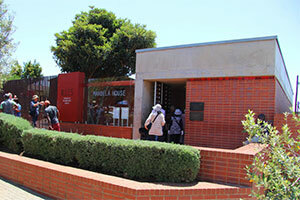 Our next stop is the Hector Pieterson Museum, where we start to unravel the cause of the devastating riots, before travelling past Mandela House, where you have the option of visiting this small museum (own account +/- R100). 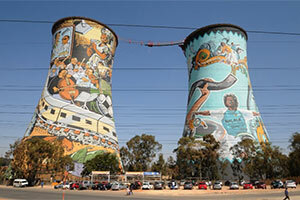 We’ve chosen to lunch in Soweto at a local restaurant (own account). The Apartheid Museum is a multimedia experience, with documentary film snippets, texts, sound clips and live accounts, recapturing life in the dark days of South Africa. Comments It’s a fascinating tour, filled with tales of bravery and sadness, but ultimately, it’s a story with the right ending. Tour operates on Thursday & Saturday only.